SCOTLAND’S pubs and bars are a diverse bunch, with everything from traditional wet-led pubs to theme bars and late-night venues. But for all the differences between premises – and the customers they cater to – at least one thing seems to be true across the board: the successful operators are the ones that account for every penny they spend. Keeping a close eye on the purse strings means any investment has to be able to bring money back into the business, whether it’s a refurbishment, staff training or new equipment. And catering equipment companies have argued that when it comes to ‘bang for your buck’ the commercial microwave is one of the best bets. 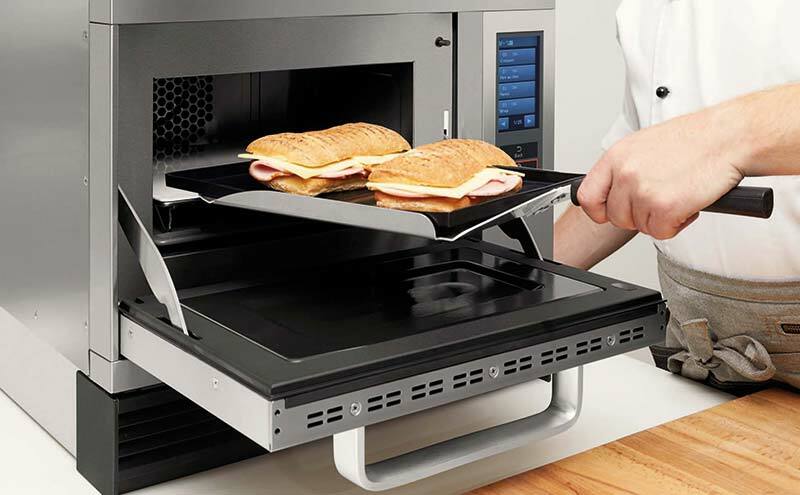 RH Hall managing director, Ray Hall, said that entry-level microwaves are available for around £200 plus VAT, with even basic models able to prepare a surprising number of popular dishes and supplement a licensee’s revenue. “Even a limited food offering is likely to expand the potential customer base and encourage customers to stay for more than just one drink, increasing overall spend per head,” said Hall. Hall said these basic food offers don’t even require a chef, as dishes can be bought in pre-prepared and then simply heated in the microwave. There’s also the chance to tap into revenue from services such as food-to-go. A spokeswoman for Panasonic said: “For the wet-led publican, introducing a limited menu that customers can take away with them to eat at home is an opportunity and one which doesn’t require a kitchen or even a trained chef to execute. “Think of those occasions when your customers will go to their local takeaway to pick up dinner on their way home. Commercial microwaves are also able to over-deliver in terms of their size, said Hall. He pointed out that most units will only need a 600mm x 600mm space on a counter-top or shelf, providing a considerable resource for very little space. As well as helping operators generate additional revenues, microwaves can also help to cut costs, according to Panasonic. The company’s spokeswoman said the ovens “cook quickly, saving on energy costs, from fresh as well as frozen, also making savings on wastage”. 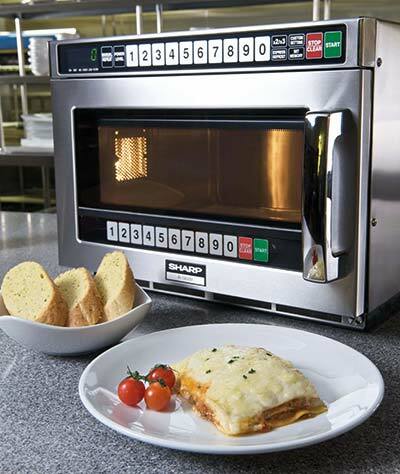 While basic commercial microwaves will be able to prepare ‘pub classics’ such as burgers, jacket potatoes, lasagne, chilli and curry, more advanced models – such as convection or combination ovens – enable venues to offer a wider range of dishes, including pastries, pies, paninis, pizzas and toasted sandwiches. “Operators considering a combination microwave are looking at a more substantial investment, but will reap the benefits of the additional menu items that can be prepared,” said Hall at RH Hall. As with any new piece of equipment, it’s important that a microwave is properly maintained and regularly serviced – and this will also help to prolong the life of the equipment. A domestic machine will not cope with the rigours of a professional kitchen. Hall said: “With annual servicing in place and by buying a recognised quality brand, there is absolutely no reason why your commercial microwave oven shouldn’t last between three to five years and even more, dependent on site and on how the oven is cared for. Lastly, although domestic microwaves will be considerably cheaper than the commercial variety, that lower initial outlay is ultimately a false economy, said firms. The Panasonic spokeswoman stressed how tougher the commercial machines are, when compared to the domestic varieties. “A domestic microwave is designed to be used up to three times a day, where a professional kitchen can easily rack up over 200 use cycles on each microwave, per day, so the demands on it are very different,” she said. Hall at RH Hall agreed. He said: “It is very important to choose from a commercial range of microwaves. “Operators shouldn’t be tempted to go down the domestic route – a domestic machine will not cope with the rigours of a professional kitchen.